These are absolutely can’t-stop-eating-these delicious. I mean it! Make more than enough if you’re sharing. This recipe was inspired from my mothers cooking when I was a kid. 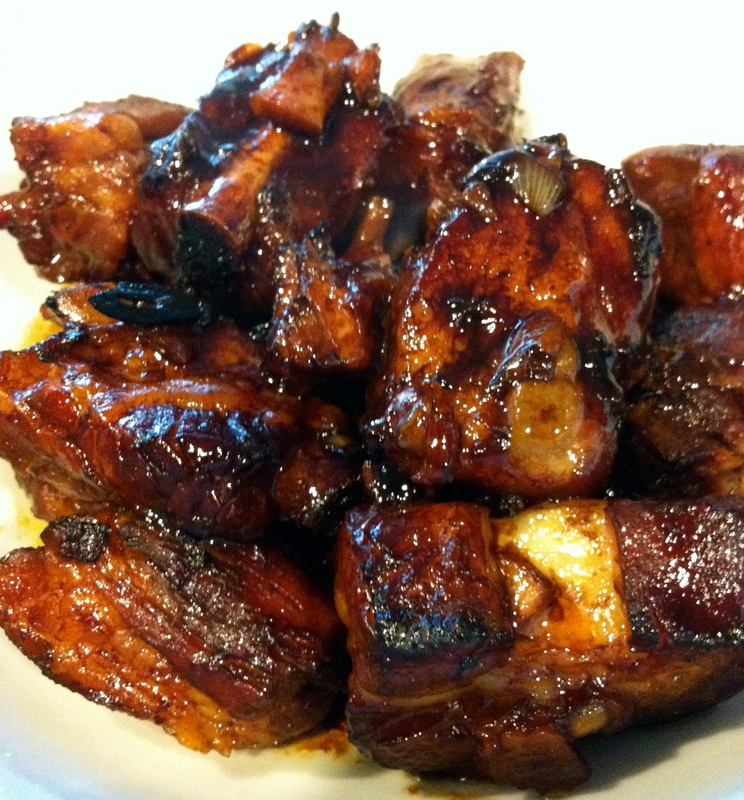 Combine all the ingredients except the ribs, wine and corn starch into a bowl. Add corn starch to water as above, add to ribs in bowl, mix. add wine. mix. let sit for 30 minutes. Add rib and starch wine mix to sauce. Marinade in fridge. The longer you marinade this the better, max 4-6 hours. If you are in a hurry to cook this- pressure cook at 15 PSI for 1 hour, or bake, covered, in a pre-heated oven set at 325 F for 2.0-2.5 hours, or until meat is soft and close to falling off the bone. Stir and flip meat pieces when done, then bake again at 425 F for 15-20 minutes, or until just tips of the meat is beginning to char. If sauce is not thick, scoop out and reduce until thick in saucepan on stovetop. You will likely have to do this if you pressure cook as the steam will have added some water. Serve immediately, with coconut rice (1 : 1 : 0.5 ratio of rice : water : coconut milk. Wash rice till water is clear, drain, add water and milk, bring to boil and cover with low flame for 20-30 minutes, or until all water is absorbed. Do not open lid to check before at least 20 minutes has passed. 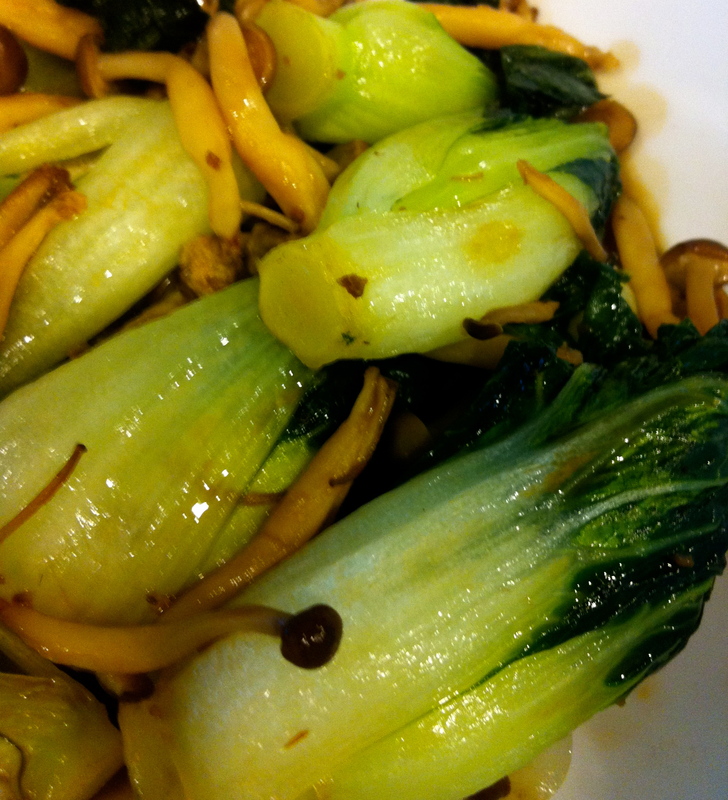 ), and some stir fried chinese veggies (choi sum, bok choi). So SO SO good! Makes great leftovers for the next day. Love the idea of serving this with coconut rice!